The Nike Air Max line has made a massive comeback in recent years. 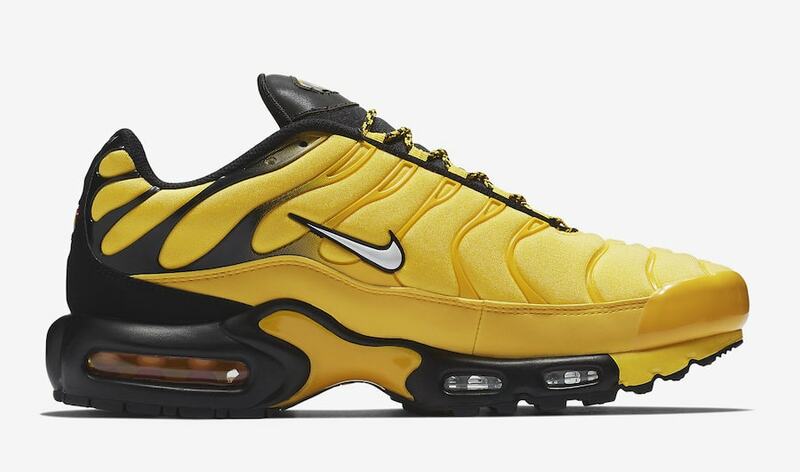 With renewals of great silhouettes like the 1, 90, and 97, Nike has also turned their attention to less popular pairs, like the Air Max Plus, seen here in a new Tour yellow colorway coming soon. Nike’s Air Max line is expanding almost endlessly this year. With new silhouettes and colorways dropping on an almost monthly basis, it’s near impossible to keep track of every Air Max release this year. 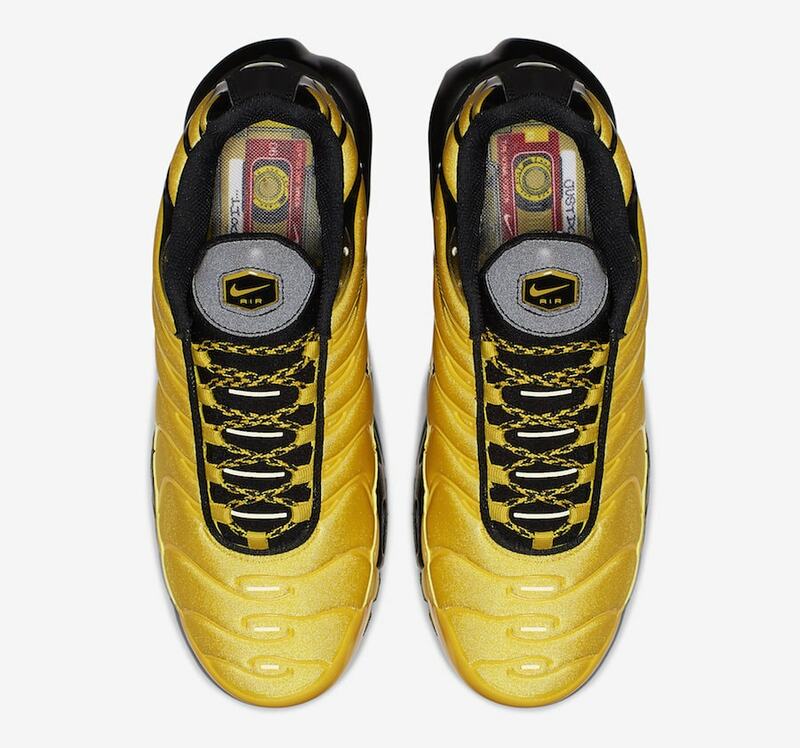 However, some stand out above the rest, like the latest colorway of the Air Max Plus to surface online. 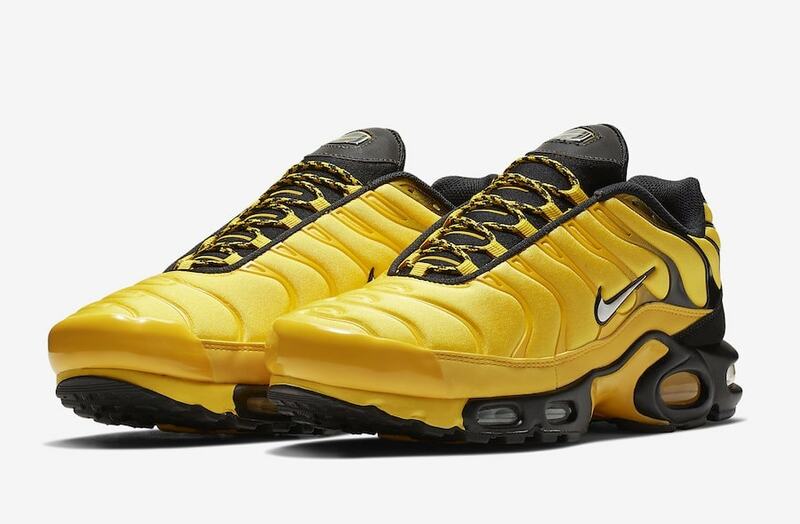 Titled “Tour Yellow”, the bright new look is likely celebrating some sort of specific event or piece of Nike’s history, though it is currently unclear what. 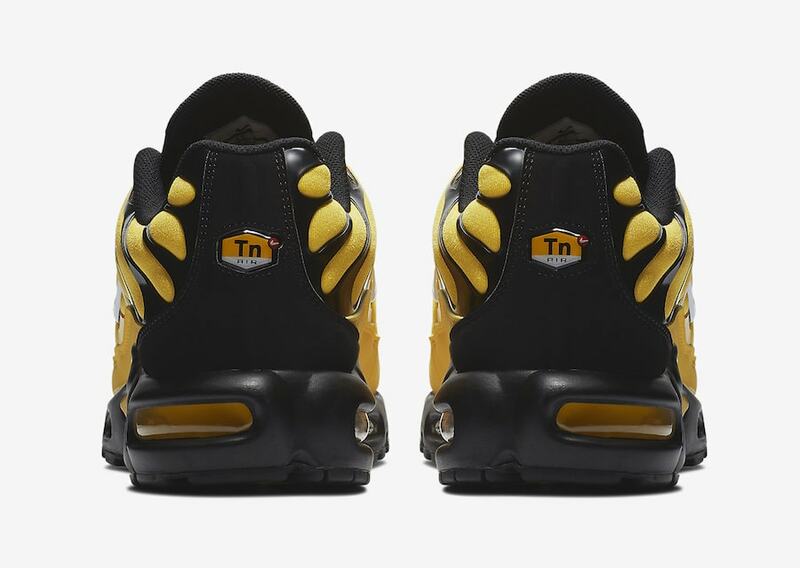 The new Air Max Plus begins with a brilliant yellow color for the initial neoprene layering. The TPU support pieces are made to match in the front of the shoe, before fading to black at the heel. 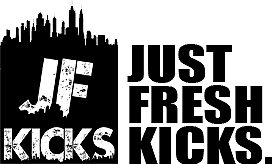 The tongue, heel cap, inner lining, and midsole all come in black as well, helping to build a taxi-like aesthetic. The Nike Air Max Plus is scheduled to drop in a bright new colorway sometime in September 2018. 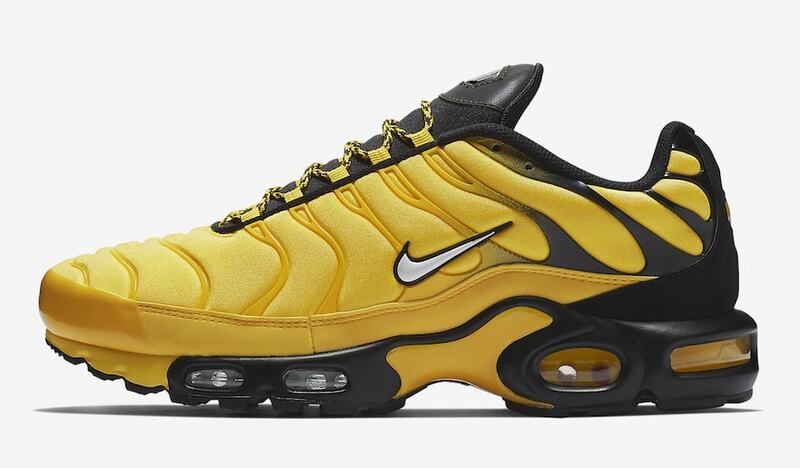 The “Tour Yellow” colorway will retail for the usual $160, and stay tuned to JustFreshKicks for more Nike Air Max release news.